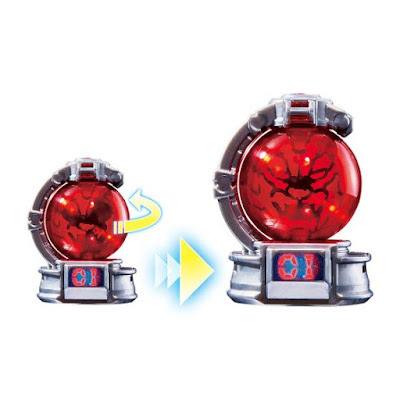 Star Change! 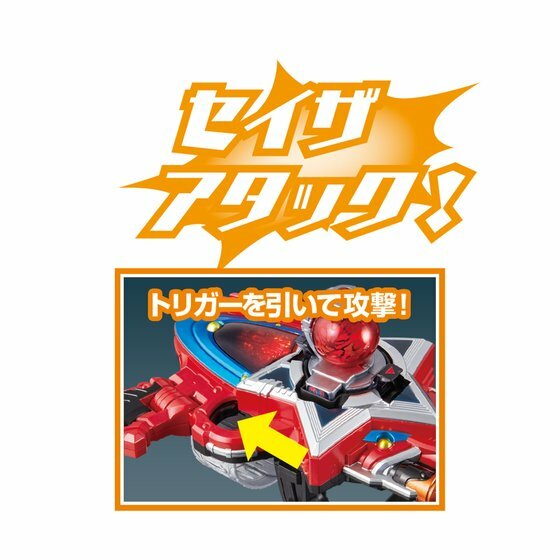 Bandai's official B-boy site has finally released the official images and information for the Transformation Controller DX Seiza Blaster, the Kyuuranger's main transformation device/sidearm. 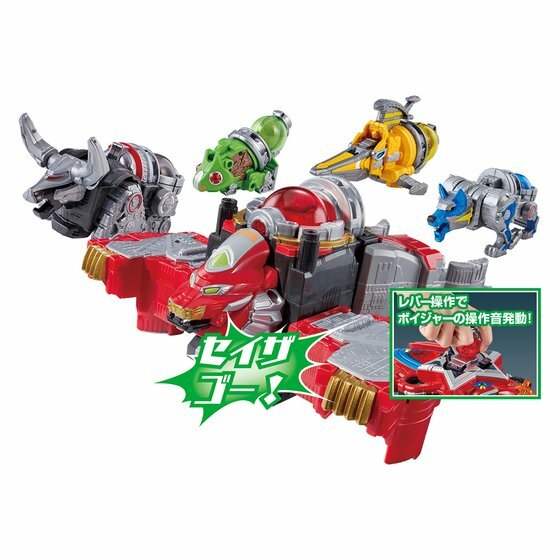 The set will come complete with Shishi Red's Lion Kyutama. 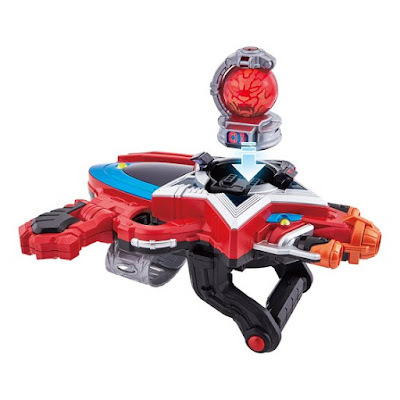 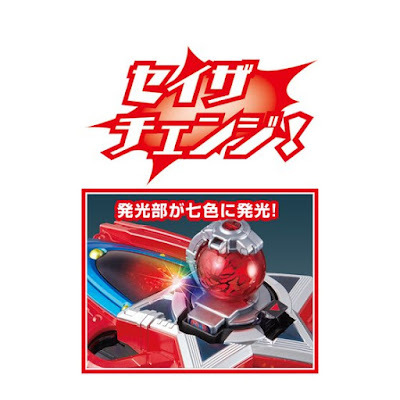 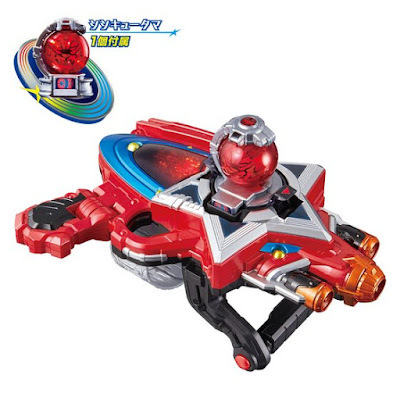 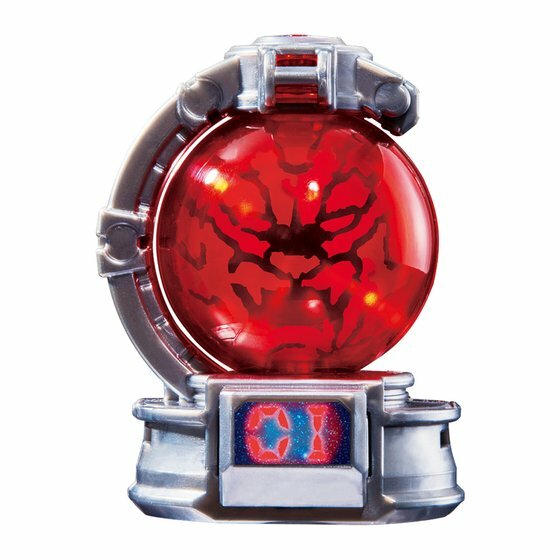 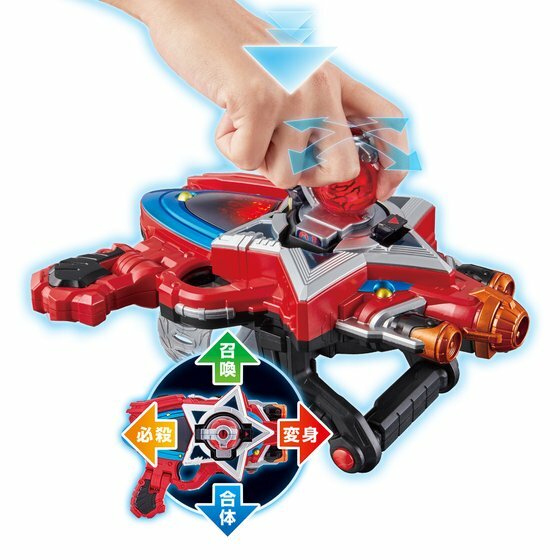 To activate, insert the Kyutama in the port and slide it to any four directions to activate the transformation, Voyager Machine summon, mecha transformation and finishing attack sounds. 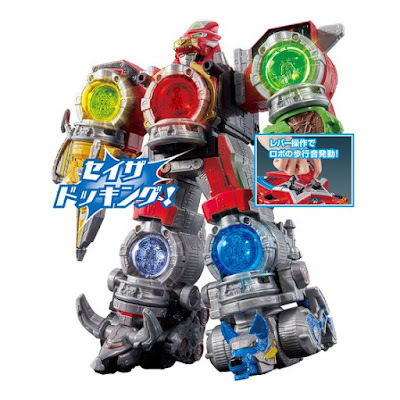 The Lion Kyutama is also compatible with the DX Kyutama Gattai Kyurenoh. Transformation Controller DX Seiza Blaster will cost 4,860 yen and will be released 1 day before the series premieres.